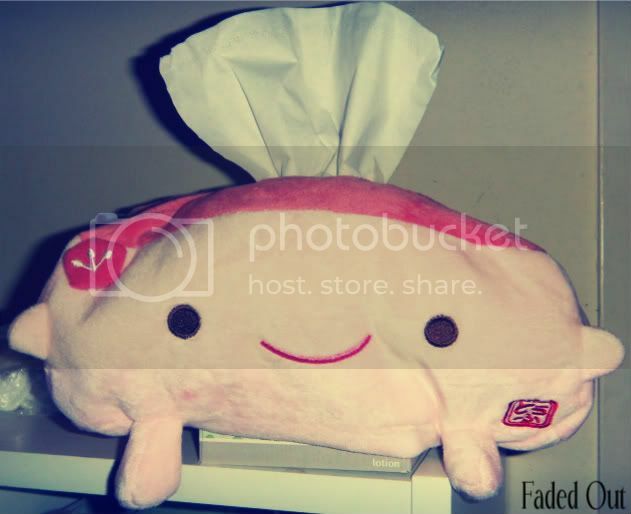 Meet my tissue box holder – it’s supposed to be a tofu. Hehe Shout out to my cousin who got it for me It definitely adds character to my tissue box and also makes sniffly time a little more cute. In this particular picture, I’m using a small square box rather than a long rectangular box like you’re supposed to. My mom tends to buy the square ones because she hates how the rectangular ones take up too much space.